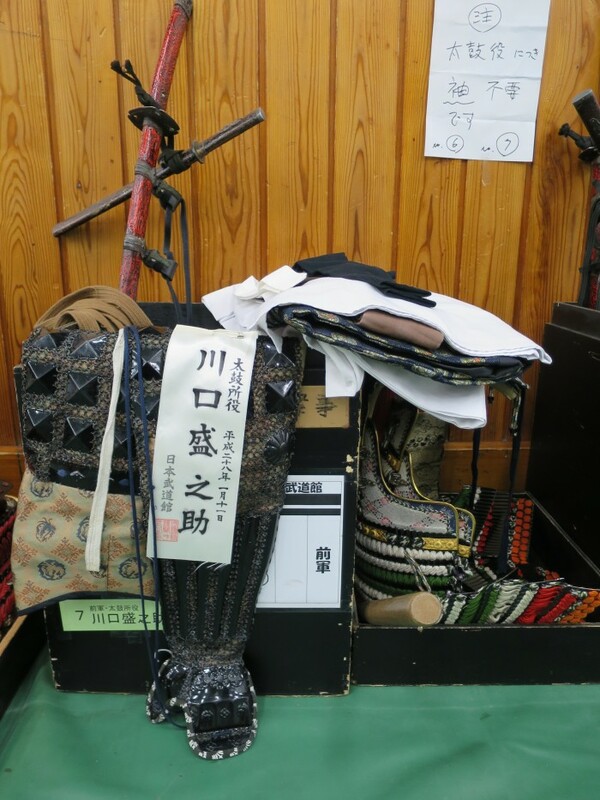 Morinosuke’s samurai yoroi is waiting for him. 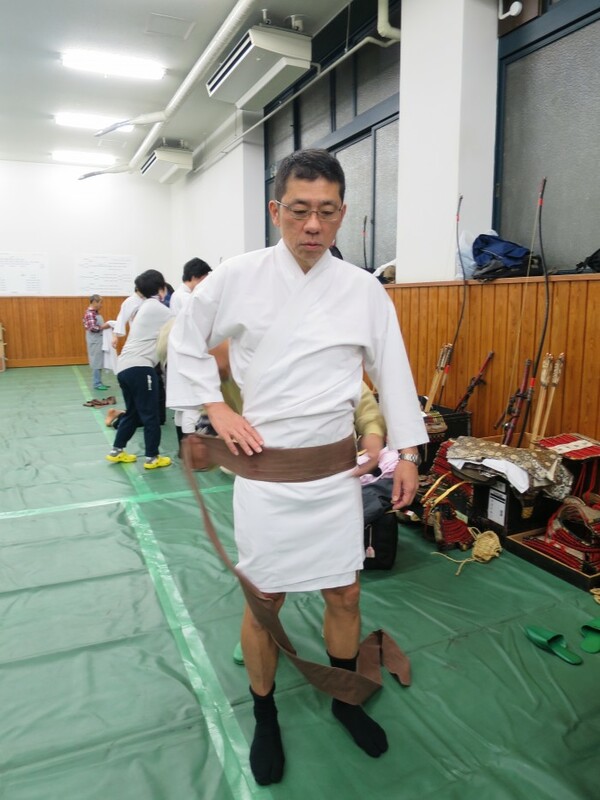 He is going to be the taiko drummer for the procession so there is a drumstick prepared for him. 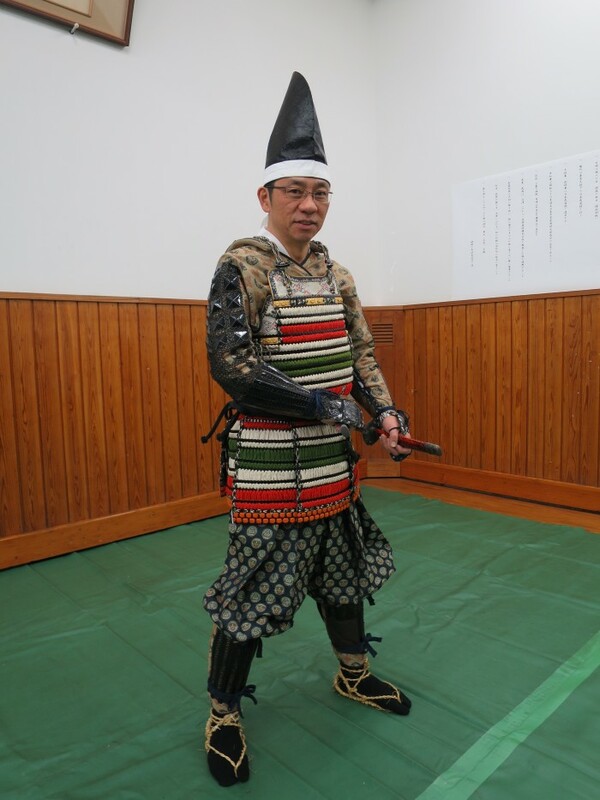 Of course, he has a sword, too! 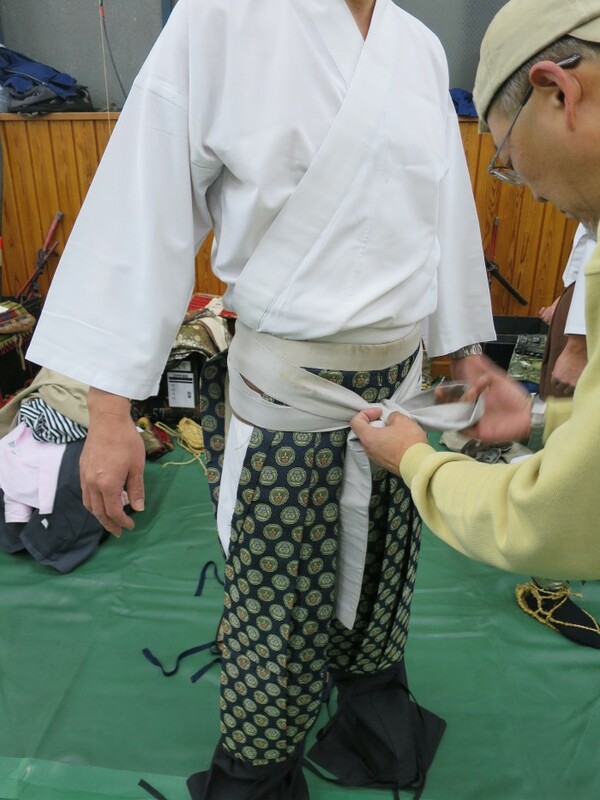 First piece of clothing is a cotton Japanese style shirt which is tied very tightly with a long cloth. 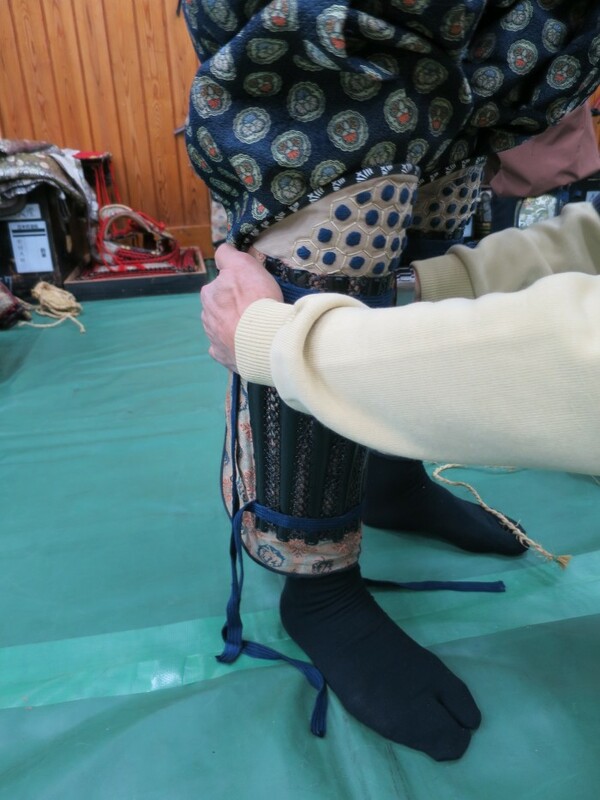 This is an important step to make sure the rest of the outfit fits well, allowing comfortable movement while keeping the body very tight so the weight of the samurai yoroi is not even felt. 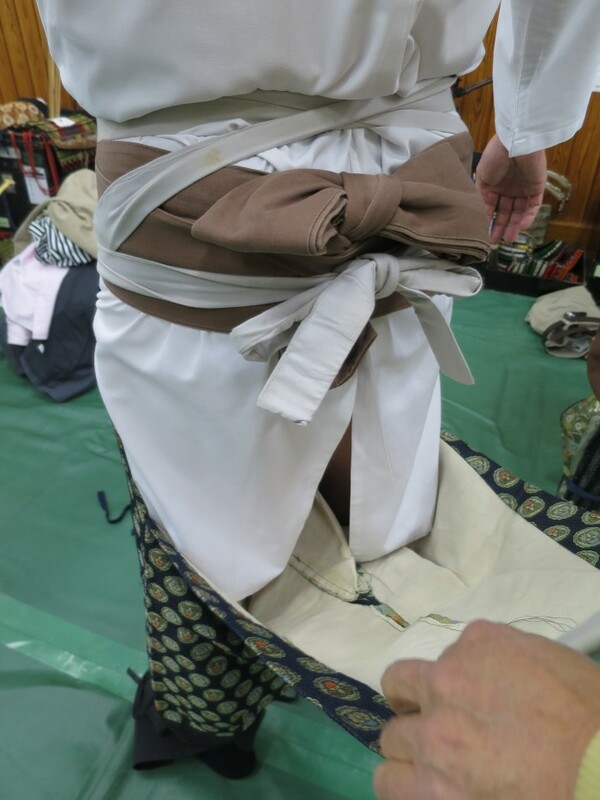 The cotton shirt is tied very tightly. 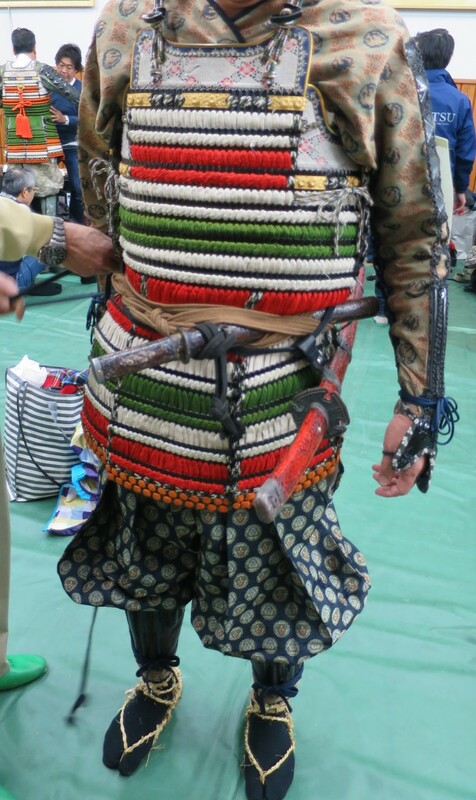 Morinosuke had no idea why until hours later : the amazing technique of the professional who dressed him in the samurai yoroi ensured that he did not feel the weight of the outfit. 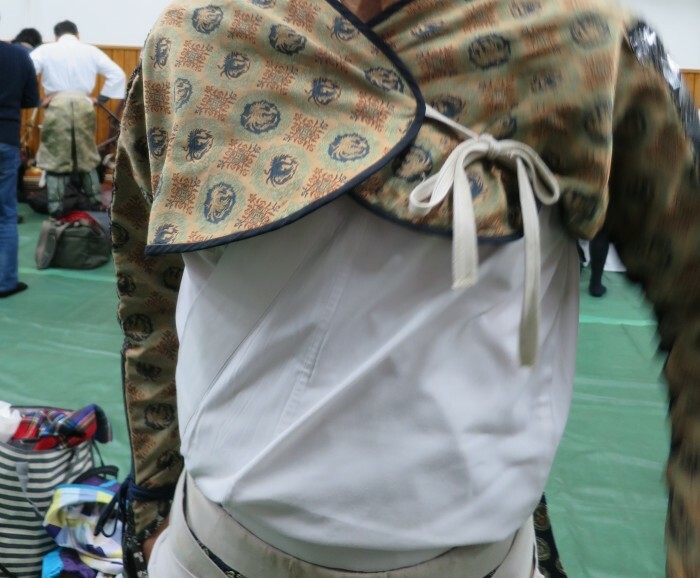 If the undershirt and the rest of the outfit is tied well, the weight of the yoroi is held around the waist and legs, making the heavy outfit feel light and keeping the upper body, especially the arms, free to move. Great design! Now let’s put the pants on! 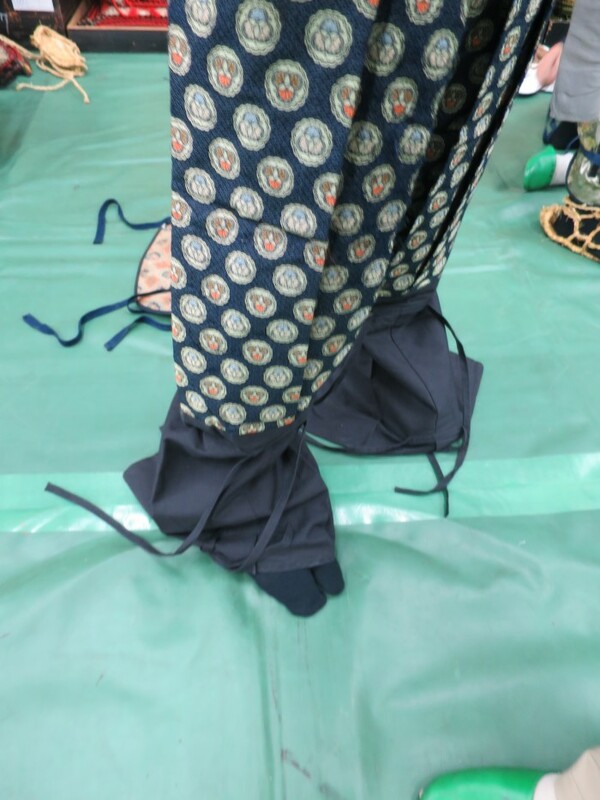 As you see, the pants are open so one can move well and also use the toilet! 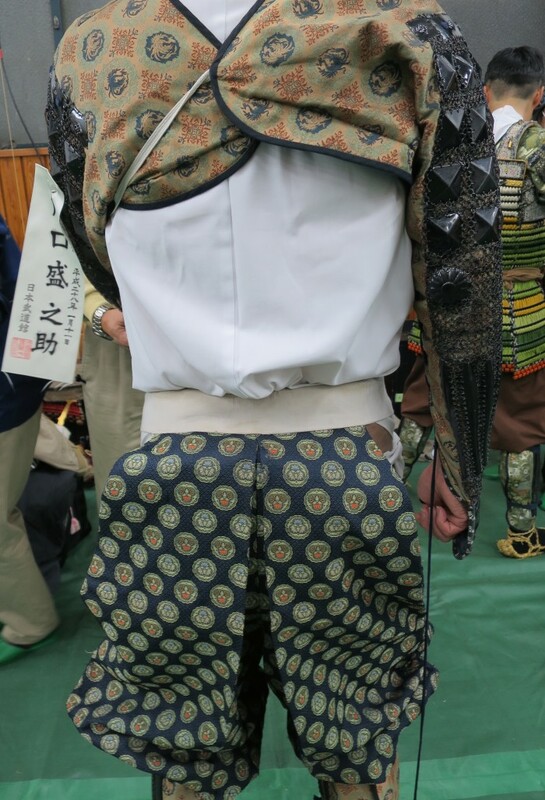 Once again, more wrapping around the waist. 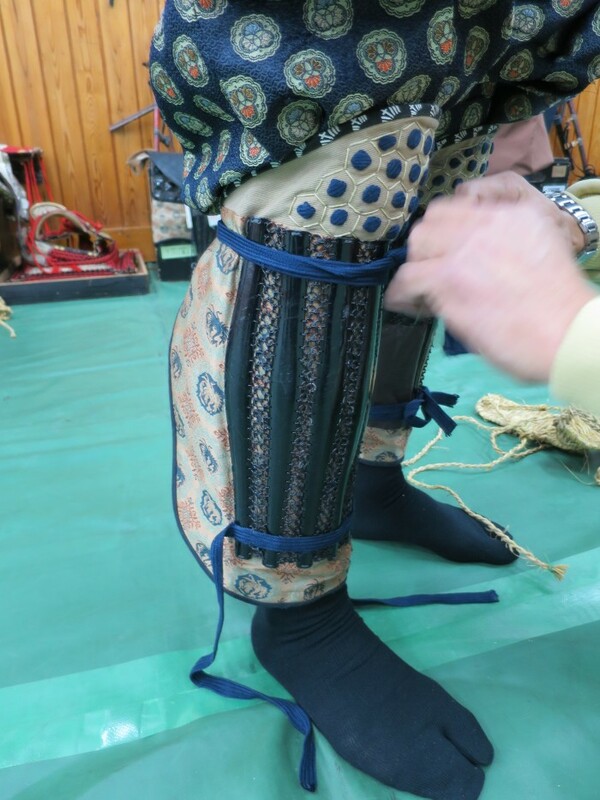 The pants will be covered with the blue cotton which is preparation for the leg protector added on later. 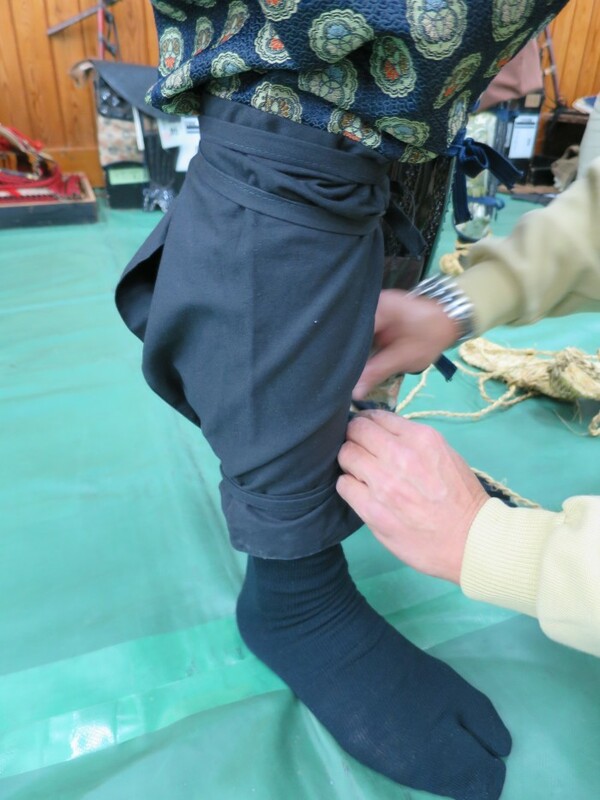 More body wrapping, this time for the lower part of the leg. On with the gorgeous leg protector! We love the leg protector! 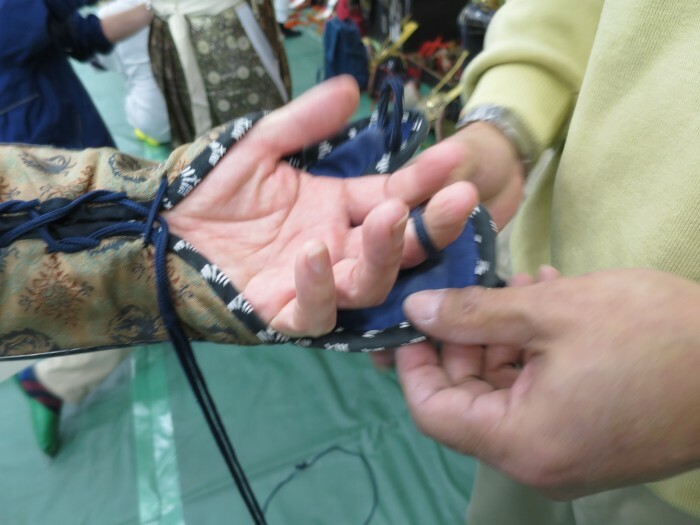 An important part of the samurai outfit is the hand protector. Beautiful and comfy! 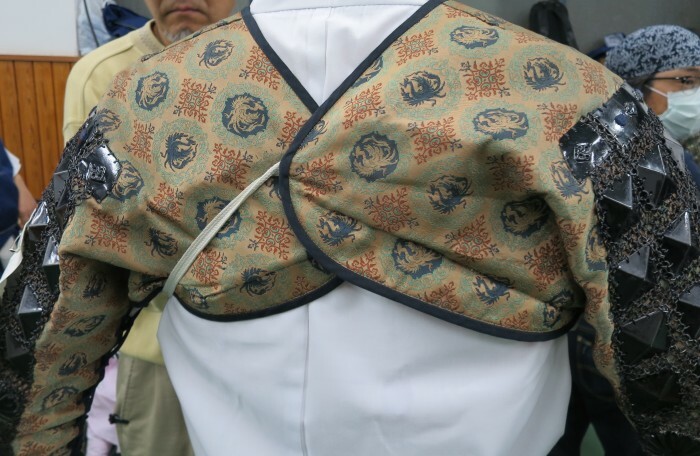 The arm protectors are tied around the back like this. 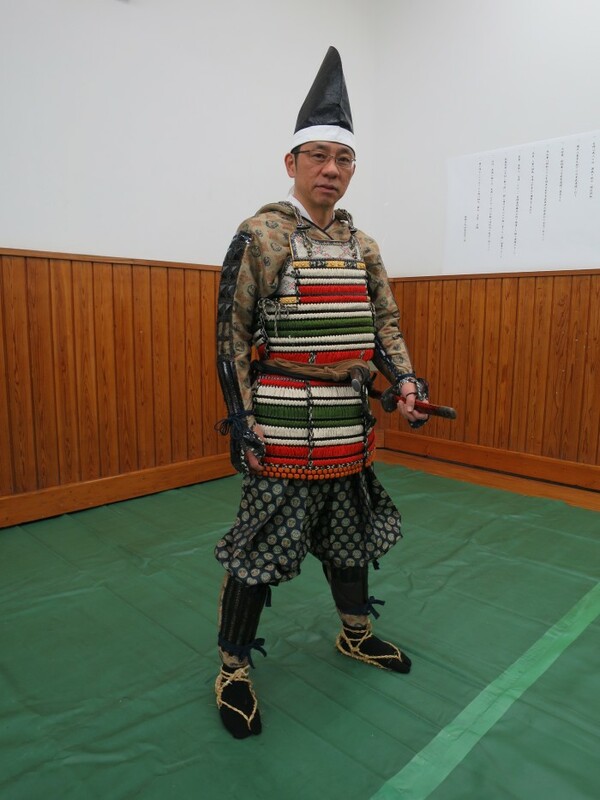 Morinosuke said this felt wonderful. Very comfy . 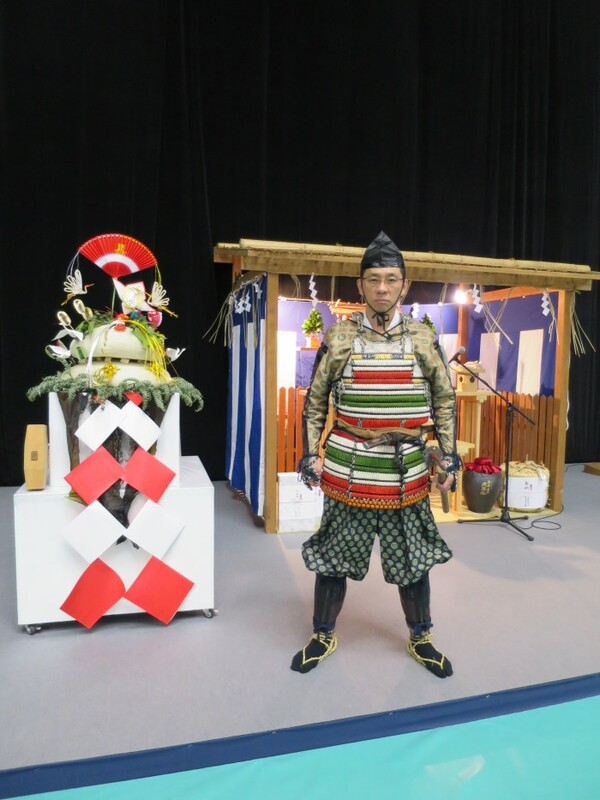 Morinosuke The Samurai Kawaguchi is now ready! Look how beautiful the arm cover is! Now off to rehearsal! 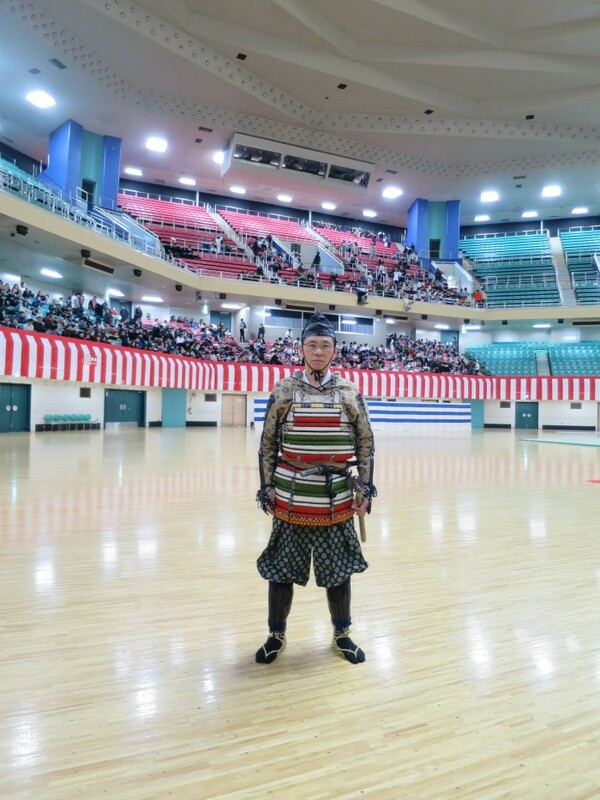 Morinosuke is standing inside the Nippon Budokan as people are arriving for the ceremony. 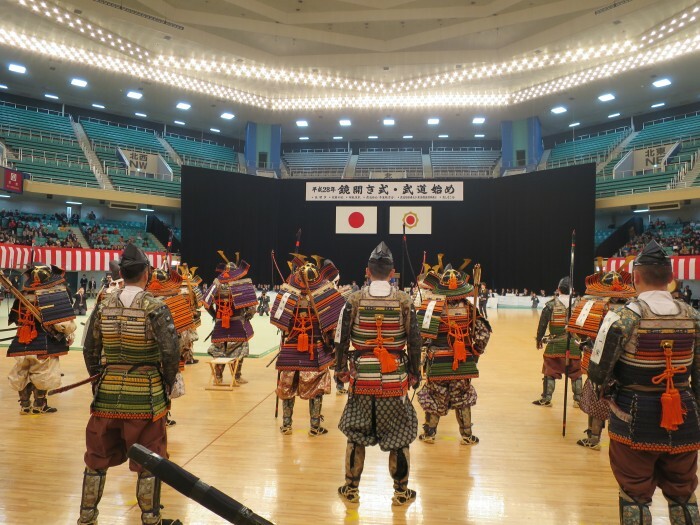 The samurai at the 2016 Kagami Biraki at the Nippon Budokan in Tokyo. 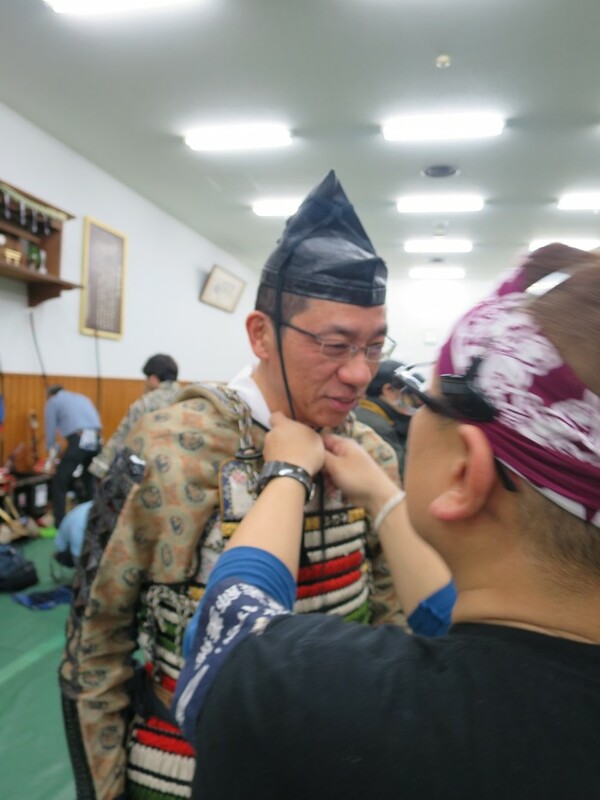 The man in the center is Morinosuke Kawaguchi.